One of the major considerations when heading off to travel within Australia, is finding the best type of car for your dream holiday. Australia’s landscape is large and varied, and the type of car you decide to take will depend entirely on how and where you plan to travel. We’ve just been through this very process, and I won’t lie, it’s one I don’t really look forward to going through again. There is so much to consider, and we felt like we’d gone around and around in circles and still weren’t sure of what the right choice was to make! Now we’re out the other side I’m glad we researched as thoroughly as we did because we know we made the right decision! However, we’re here to help and hopefully guide you toward making the process of choosing a car so much easier. Welcome to our first installment of choosing the best car for your Australian family holiday! The first vital step is understanding WHERE you want to be able to travel on the road. If you plan on sticking to major highways and sealed roads, then your options will be very different to someone who wants to explore rough washed out four wheel drive tracks. Do we want to drive on unsealed roads? – Sedans can handle unsealed roads, although an all wheel drive may be better. Do we want to drive on 4wd tracks? – For regular 4wd tracks an all wheel drive may be fine, for more remote or extreme tracks a dedicated 4wd is probably better. Once you decide if you’re looking for a sedan, all wheel drive or a dedicated four wheel drive, you will need to decide on what towing capacity you’ll need. This will depend greatly on whether you decide to tow a camper trailer, small caravan or pop top, or a larger full van. We found in our research, that towing capacity is one of the most under researched abilities of cars, and came across numerous people who’d purchased a car and van only to find that towing their van with their car would be totally illegal! You need to understand the tow capacity of your prospective car e.g – our Nissan Patrol Manual can tow 3.2 tonnes but the X-trail we sold only had a tow limit of 2 tonnes. But that’s not the only capacity you need to understand, there is also a ball weight capacity. For instance, when looking at the Mitsubishi Pajero, it was advertised as a 3 tonne tow capacity, but a bit of research showed us that over a certain weight the ball weight reduced to 180kg’s not enough to cover most caravans! Find a balance between these 2 things, you may need to compromise on the accomodation or car to get the best of both worlds. Once you’ve found cars that fit your destination requirements and your tow requirements, the next step is to research whether they will be something you’d like to own. Although we didn’t think the X-trail would quite be able to do what we wanted, we were really surprised after tracking down a Nissan X-trail Review or two, as to what the car was capable of. So although we did discover it would take us many places we were planning to travel, the tow capacity just wouldn’t meet what we wanted and it wouldn’t have been fair to the car, which is why we upgraded. 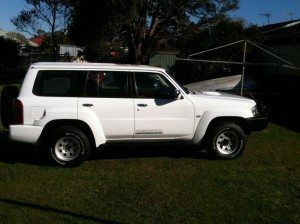 You’ll find reviews on 4wd forums, carsales.com.au, magazines and on 4wd tv shows. The most important thing is not to believe everything you read or see. There are often very extreme opinions floating around the internet, and it’s important to read reviews and opinions objectively. 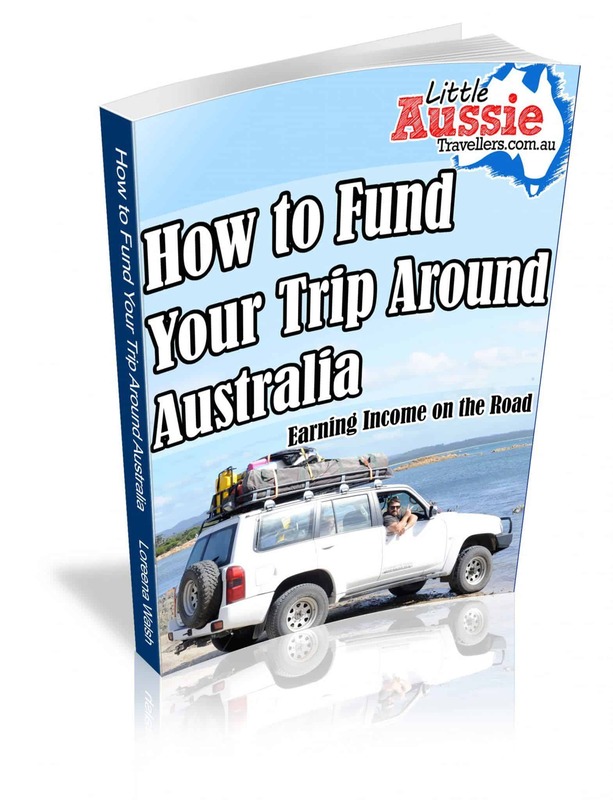 While most people would advise to set a budget first, when you’re planning extended travels within Australia, the abilities of the car you choose are the most important thing. The next step in setting a budget will really define the age of the car you purchase, and perhaps let you narrow down between 2 options if you’re having trouble deciding. Start to check out local car dealers, online car sales websites, ebay, gumtree and newspaper ads, as well as travel forums etc for cars that are advertised. This will give you an idea of what you’ll get for your money. Take time with this part, test drive and wait for the right car. It will definitely be worth it. Choosing a family car for travelling Australia can be a lot of hard work, but take your time, understand your requirements and then keep a close eye out for the best car you can get for your money and here’s to lots of great travels in whatever car it is you decide to buy. Thanks for the info! Choosing the right kind of travel car is extremely important before visiting Australia.